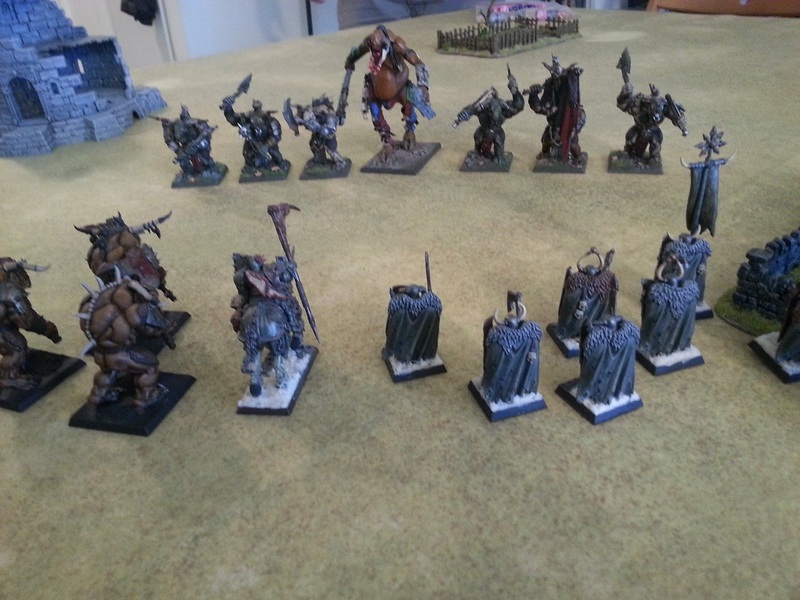 Hordes of Things: Battlescene Designs 6mm Gothic Buildings - Painted! 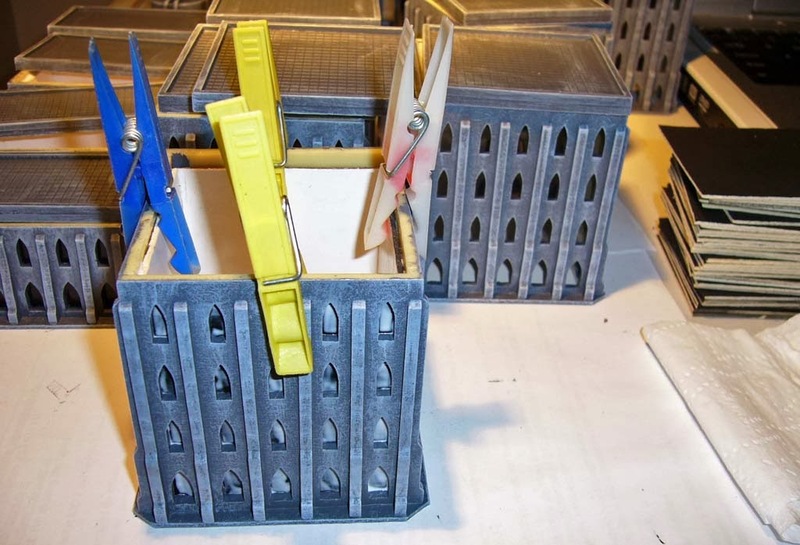 Battlescene Designs 6mm Gothic Buildings - Painted! Here's my completed Battlescene Designs 6mm Gothic buildings that I discussed in a previous post. I've got them painted at last, or mostly done. I might add a few details but they are ok to hit the table now! They will go well with my other cityscape material which I haven't posted yet, and mean I can have a nice dense urban environment. 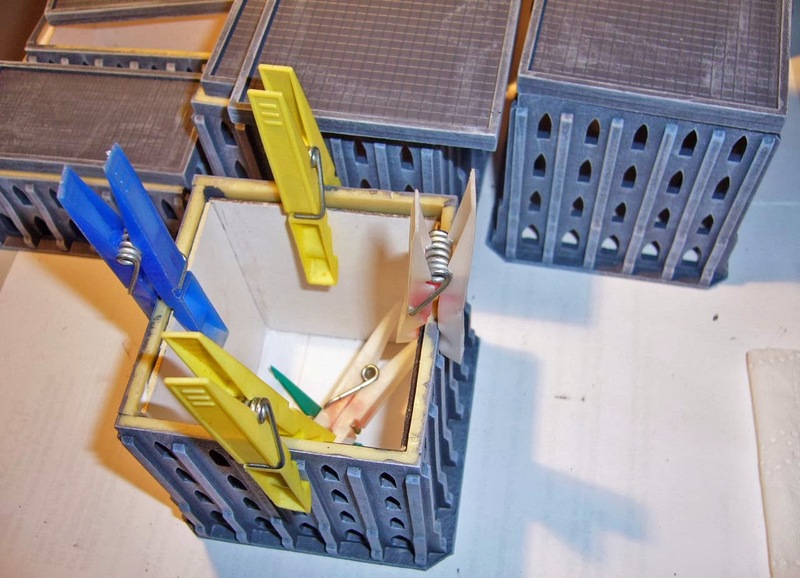 I based most of the buildings on cartridge card, with the fuel tanks two to a base of plywood. 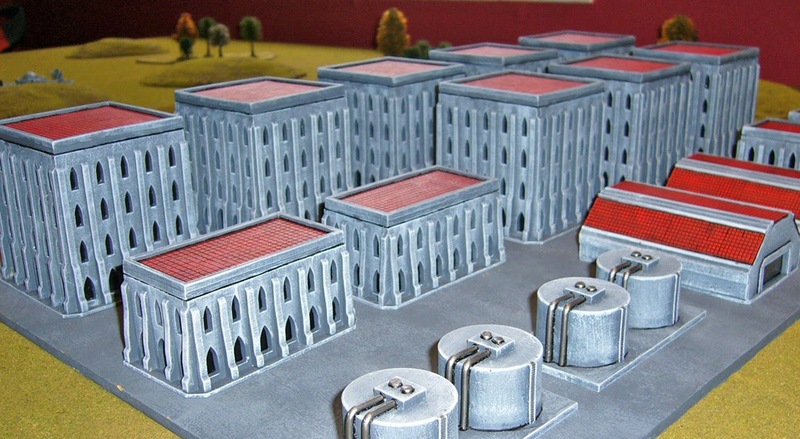 Buildings were assembled with Super Glue, and then painted with acrylics. After the grey was done I added the interiors to back the windows - this was just cartridge card sprayed black, explained in more detail below. Also for reference, here's some pics showing how I assembled the insides. There's the stack of sprayed black cartridge card inserts on the right. 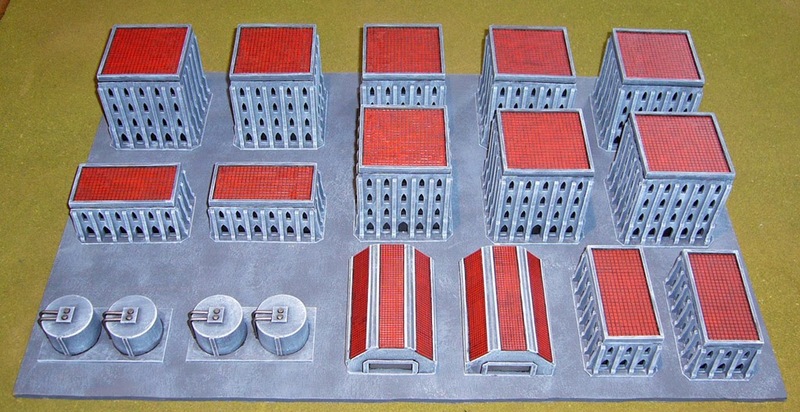 The buildings have already been painted grey first (dark grey and a couple of lighter drybrushes) and allowed to dry. Then I coated these inserts with PVA and then held them in place with pegs while they dried! The PVA dries clear leaving a black and slightly shiny window. Lastly the roof was stuck on, and tiles were painted terracotta drybrushed with red. Thanks for looking, and as mentioned above, see my previous post for more about these buildings and this company. Mate, they look great! Very fight over worthy! 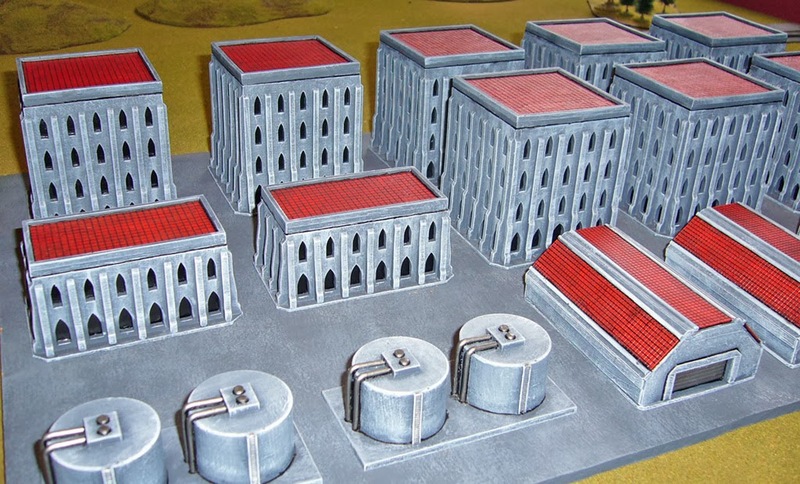 Really like these buildings and your paint scheme work well. Sadly they are out of stock right now and I already bought a couple of new ruins for a fortune. The only thing I wanna mention is the overall a bit too clean look of your scenery (imo.). It might improve the overall great look even more if there would be a bit more weathering on the walls. Thanks Yannick, you're right andI might try to add a bit more weathering if I get some time! Hordes of the Things 2.1 released!